To describe the feeling of happy, the author connects it to feeling like a bright star. To describe brave, the author compares that feeling to a plant growing tall and reaching towards the sky. 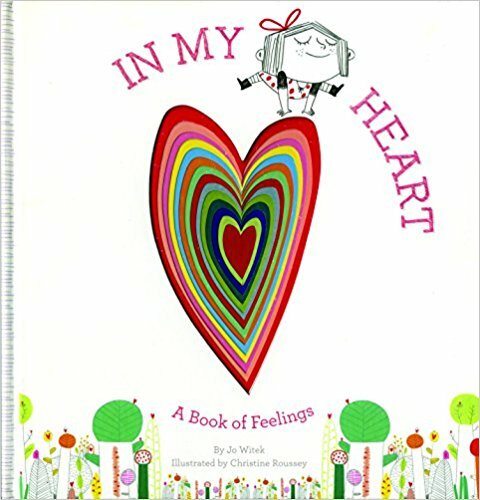 My children and I love this book and its creative take on feelings. I feel the author goes over many important feelings that are sometimes not as spoken about or discussed than others, such as feeling hoping, brave and shy. I love how the authors connects the feelings something that the child can understand and use their imagination to further reflect on that feeling and how it feels. The only con ( if it should even count as a con) is that sad and broken I feel can be in a similar category and the children might be a little confused on what it means to feel sad or broken.